The online gaming industry is consistently evolving over the past few years in India. The surge in gaming is mainly due to the availability of Smartphones. The game which has been incredibly popular even before its online version occupies the top slot among the skill games. Yes, we are talking about Indian Rummy online. According to a study, playing skill-based online games improves memory, concentration and judgment skills. These days no longer you would need to visit clubs and casinos to enjoy the game online. You can just download the rummy mobile app and enjoy the game on the move. One of the apps that are incredibly popular among Indian Rummy audience is the Deccan Rummy Mobile App. Hailed as the fastest mobile rummy app, lakhs of players have already downloaded it and are playing from it each day. There are many reasons to download rummy mobile app including a chance to win money online. However, earning money is not the only criteria; there are many facets of rummy mobile apps that you can enjoy which is what we are discussing below. With Rummy game available at the touch of your finger with Deccan Rummy Mobile, you can say goodbye to boredom. It’s exciting, fun, and would challenge your grey skills. Of course, the chance to compete with like-minded players anytime anywhere gives an edge to it. Don’t we get annoyed to see multiple ads popping up during the game when you are deeply engrossed in the game? Such interventions destroy the fun around the game. Deccan Rummy Mobile App is clutter free which means you get to enjoy the game without any disturbances. 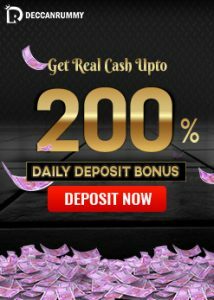 If you feel like you can’t play for cash each day, you can always relax over hundreds of practice games listed under each variant in our Deccan Rummy Mobile. This will help you to enhance your rummy skills and play cash games more confidently. Unlike several games where you go one on one against the computer, in rummy, you get to face live players all over the country. The proposition of facing real players lends an edge to the already exciting game. Challenge game beat them with your skills and feel the adrenaline rushing. We have plenty of app-specific promotions which you can avail on the move. Since you have the device in your hand, you can enjoy rummy tournaments and games on the move. With rummy mobile app – you get real-time updates so that you don’t miss out any offers and promotions. Also, we are looking at ways to continuously improve the user experience and we would release updates periodically for the same so that gameplay remains engrossing at all time. 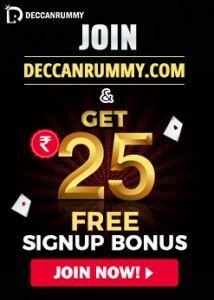 How can you get this Deccan Rummy Mobile App? You can also download the app via SMS by entering your number and receiving the link and by scanning the QR Code. Remember to register in the event you have not yet done so, to get a stunning user experience! 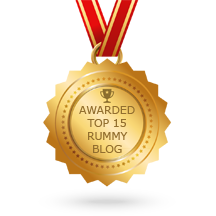 How did Indian Rummy become as popular as it is today?